So, another weekend gone and another challenged tackled. This one was the one with the most details I would say. Total approximate times? - About 3-5 hours on and off of researching what a Ferrary Formula 1 car looks like, how I could put that in cake, colours needed, templates, etc. 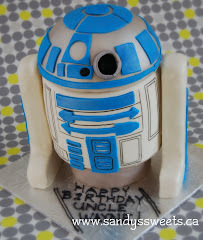 - My son had a terrible night of bad dreams while I was covering the cake...so it didn't help! 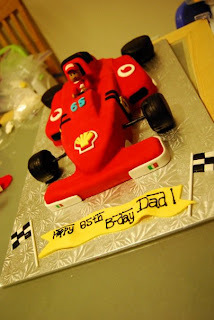 - I didn't want to cut the cake to be exactly the same proportions of the F1 car...the cake is to feed about 20 people - I had to make sure it could feed that many!!! 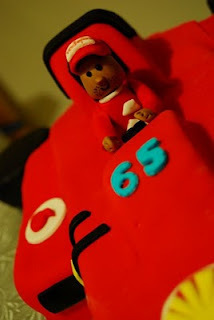 - DETAILS - oh the details..shell logos, Vodafone logos, Ferrari logos, Marlboro, the wings in the car (took forever! ), wheels, letters, etc...lots and lots and I could have continued with even more!!! - My cousin and my brother were with me...that really helped to keep me going. Otherwise, I think I might have given up sooner (and as a result ended up with a car with less details) ... Thanks guys for keeping me company! - A lot of friends are surprised this was such a big task - they think a purse is harder...NOT!!! The car has sooo many more angles!!!! 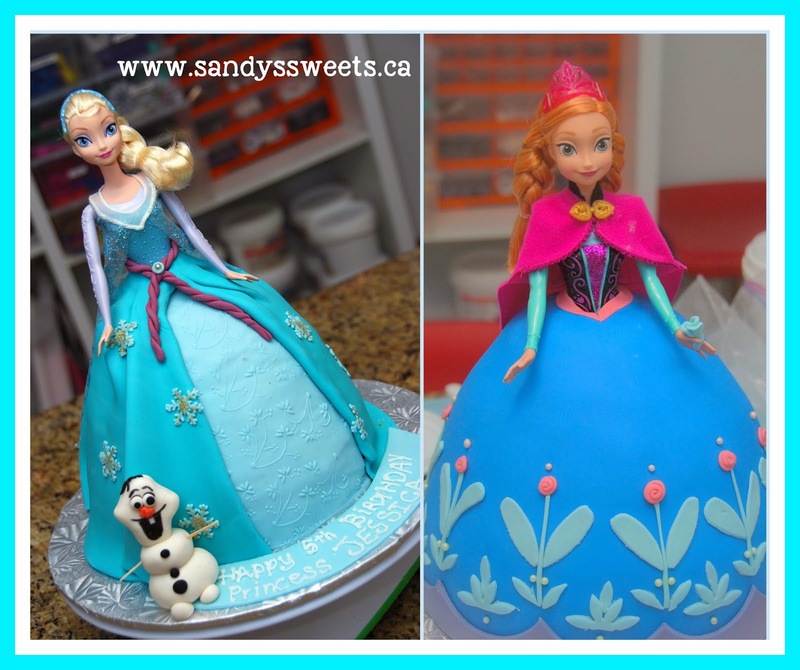 once you finish carving, you have to find a way to cleanly cover it in fondant!!! it's a trick for sure!! !